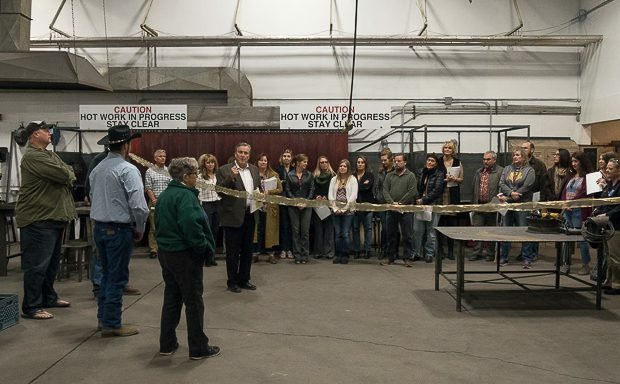 Lassen High staff and local dignitaries gathered Wednesday morning at a ribbon cutting for the remodeled welding facility. 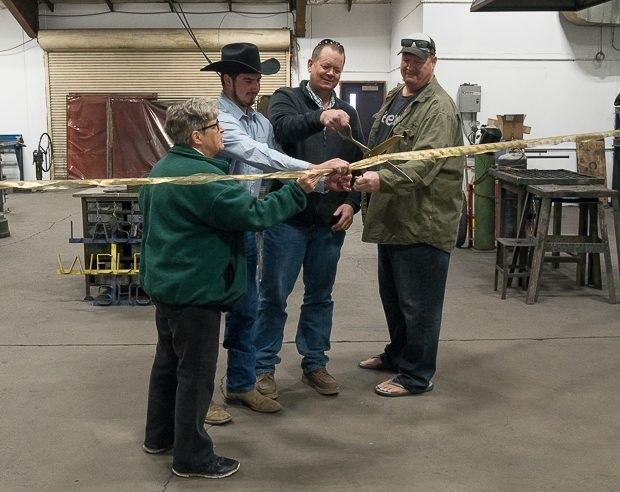 After almost 3-years of hard work Lassen High School unveiled their newly remodeled Agricultural Welding Shop to staff and students at a ribbon cutting ceremony Wednesday morning. 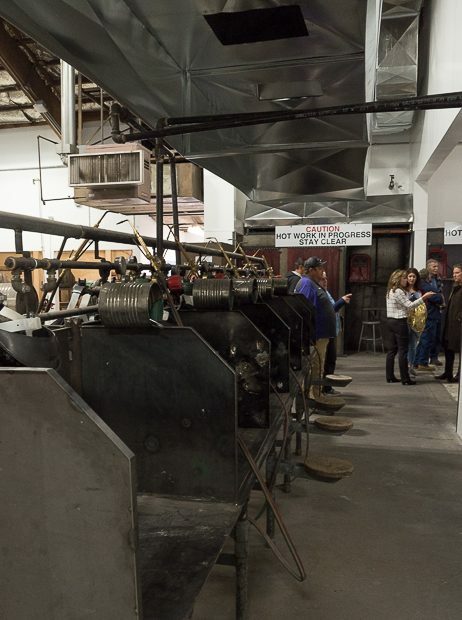 The 4,000 square-foot facility, which according to the school cost approximately $124,000, is nearly double in size from the previous facility and will allow Lassen students more room to fabricate products and exhibits that they sell at the fair. 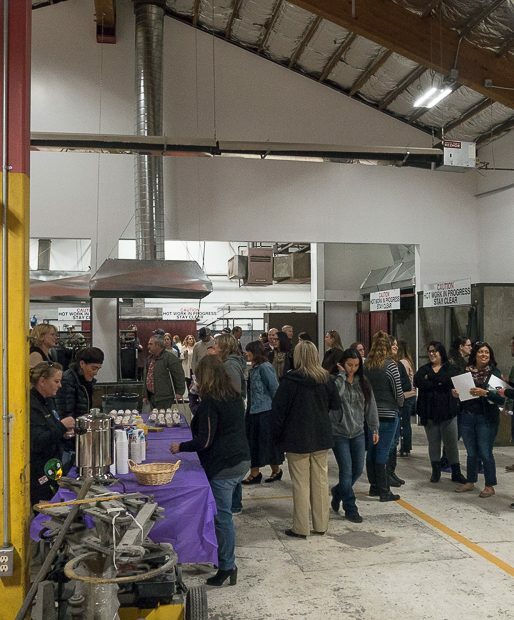 The remodeling provides students with a safer environment with updated ventilation, ADA compliant restroom facilities, additional stations and improved welding equipment. 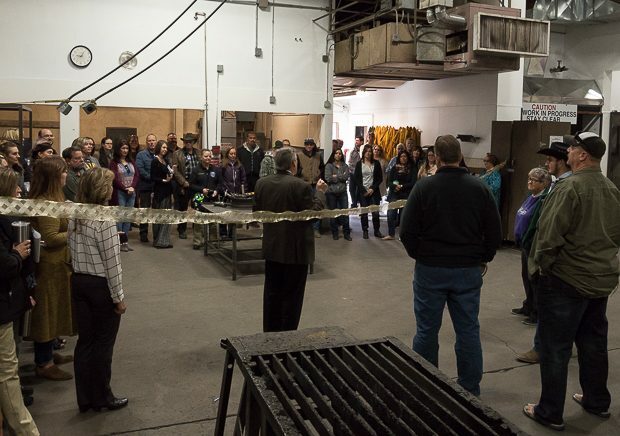 Lassen Superintendent Bill McCabe explained to the assembled guests that the agricultural welding program provides LHS students with the direct connection to the workforce, while also allowing them to earn college credit for programs within Lassen Community College and Butte College. 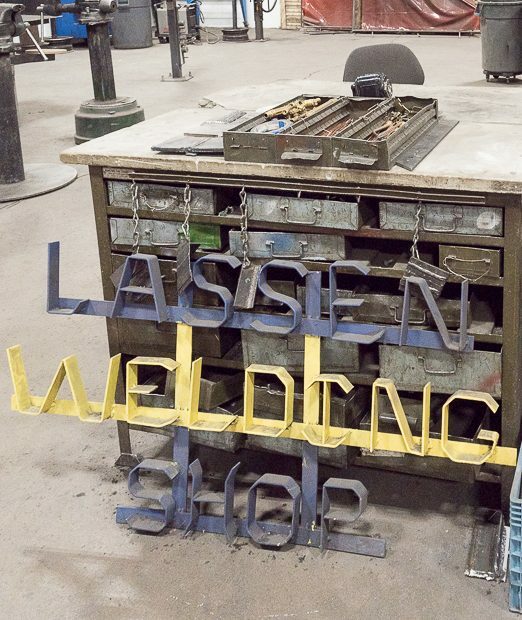 Students who go on to graduate from these programs as certified welders have had success in securing high-paying jobs using the skills developed at Lassen High. 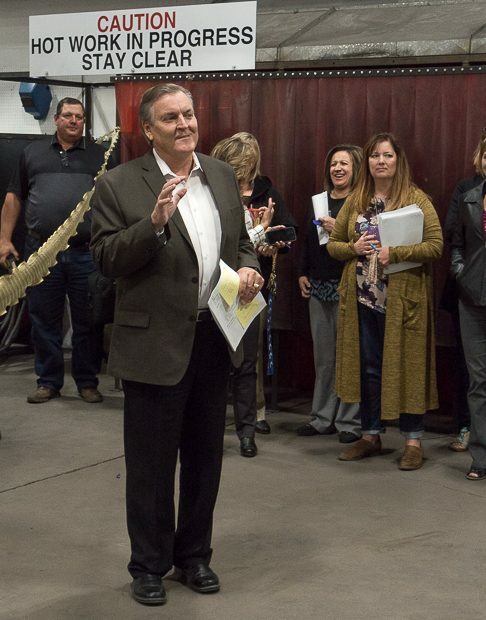 McCabe gave a heartfelt thank you to the people who made the project possible, naming Dean Ross, Mike Somerville, Jim Spadaro, Dave Salas, Isaac Harris, NST Engineering, Kirack Construction and Advanced Comfort. Posted by Jeremy on . Filed under Features. You can follow any responses to this entry through the RSS 2.0. Both comments and pings are currently closed. Nice to see a vocational trade still being taught in school! Great job! 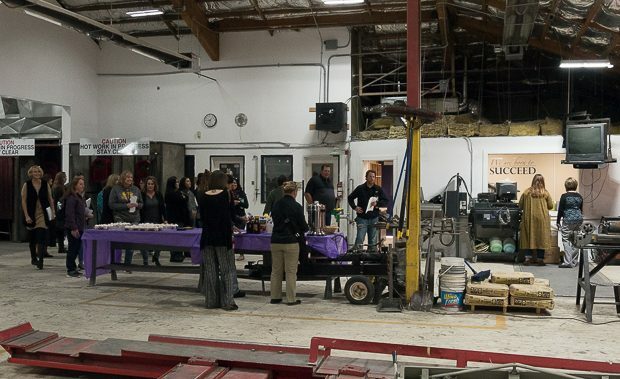 Congratulations to the welding program and Mike Sommerville. Been a long time in the making. This is a great program.